Volunteer at TriGator for Kids! The TriGator is a kids’ triathlon race held in Elmira. Children between the ages of 3 and 14 take part in age appropriate Swim-Bike-Run distances. No experience is necessary and all kids take home a medal! All race proceeds go to Canadian Tire Jumpstart™, a charity that gives kids in our region the chance to participate in organized sports and recreation. 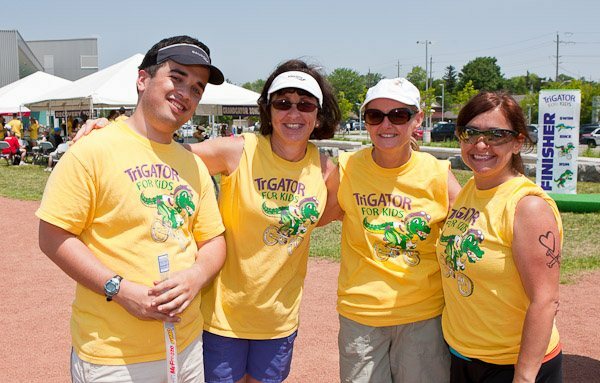 The TriGator needs about 200 volunteers to make sure the athletes have a fun, safe, organized day. As a volunteer you will receive the appreciation of the racers, a TriGator T shirt, and food at the after-race party. You'll also meet some great new people!